We invite all industry associations and media publications involved with contributing to the development of Africa's mini grids sector to be part of this Summit. For organization-event affiliation and media partnerships, email jose@magenta-global.com.sg. 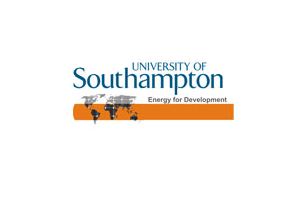 The Energy for Development (e4D) Network is run by the Sustainable Energy Research Group (SERG) at the University of Southampton. The aim is to enable a step-change in collaborative research and project development addressing the energy needs of rural communities in developing countries. To date e4D has installed six solar mini-grid projects in Sub-Saharan Africa with a total installed capacity of 68.4kWp. The AECF is a development institution which supports businesses to innovate, create jobs, leverage investments and markets in an effort to create resilience and sustainable incomes in rural and marginalized communities in Africa. Launched in 2008, the organization has mobilized over US $356 million to date, leveraging more than US $658 million in matching capital and improving the lives of more than 16 million people in 2017 alone through jobs and increased household incomes. The AECF targets investments in the following sectors: agriculture and agribusiness; renewable energy and adaptations to climate change; and rural financial services and communications systems that support the two sectors. The Southern African Alternative Energy Association (SAAEA) represents and actively promotes Renewable Alternative Energy Solutions in the region. Its focus is the whole industry, rather than sector. Wind, Solar, Biomas, Biogas, Bio Fuels, Green Products, Energy Saving Alternative Energy, Energy from Waste, Fuel Cell Technologies, etc. The SAAEA advocate policy development on behalf of its members at decision-making government level. The Association also promotes understanding of the industry and its potential through tools such as industry events, forums, conferences, newsletters and publications. Its objective is to provide borderless access to the information that can affect today's clean energy industries as much as tomorrow's world. The Alliance for Rural Electrification (ARE) is an international business association representing the decentralised energy sector working towards the integration of renewables into rural electrification markets in developing and emerging countries. ARE enables improved energy access through business development support for more than 90 members along the whole value chain for off-grid technologies by targeted advocacy and facilitating access to international and regional funding. The Association's aim is to attract and unite all relevant actors in order to speak with one voice about rural electrification with renewable energies. Since its creation in 2006, ARE has been serving as a global platform for sharing knowledge and best practices to provide for the rapid implementation of available and advanced RE technologies and services. ANSOLE is a platform of exchange among various stakeholders who are all devoted to promote in a concerted way the use of various renewable energy forms to address the acute energy problem in Africa while preserving and protecting the environment. The organization promotes research, education and vocational training in renewable energy (RE) among Africans and non-Africans with a special focus and relationships with Africa. ANSOLE's three main goals are: to foster technical and vocational education and training (TVET) in renewable energies at various skill levels (capacity building); to foster research activities in renewable energies among African scientists and non-African scientists who are directly involved in the training and education of African students and experts (capacity building); and to promote and encourage the use of renewable energies in Africa (sustainable development and economy, environmental protection, etc). The Uganda National Renewable Energy and Energy Efficiency Alliance (UNREEEA) is a non-profit organization that was incorporated 2014 as result of the private sector players in the various renewable energy and energy efficiency sub-sectors signing a memorandum of understanding to come under one umbrella body. The primary role of UNREEEA is to avail a platform for consolidating the renewable energy and energy efficiency private sector wing as well as improving its business environment. The Alliance as an umbrella organization currently brings together a network of five member associations under which the various companies and enterprises are subscribed, and they include: Biomass Energy Efficient Technologies Association (BEETA); Uganda National Biogas Alliance (UNBA); Hydropower Association of Uganda (HPAU); Uganda Solar Energy Association (USEA); Energy Efficiency Association of Uganda (EEAU/Energy Auditors); and Wind Power Association of Uganda (WPAU). Africa Minigrid Developers Association is Africa’s first trade association dedicated exclusively to the mini-grid industry, and is composed of developers operating AC mini-grids that ensure power reliability of at least 20 hours per day. The association also works closely with a variety of solution providers, including EPCs, hardware and software vendors and integrators. AMDA currently has chapters in Kenya and Tanzania, where member companies have built 430 kilometers of transmission lines, and renewable generation to serve over 11,000 connections, including households, schools, health clinics, micro-enterprise and agriculture. AMDA, which plans to grow into a pan-African platform for private utilities, is in the process of setting up its next chapter in Nigeria, which will include seven additional local developers, and has so far received interest from three other countries. EACREEE's goal is to facilitate creation of an enabling environment for renewable energy and energy efficiency markets and investments, in order to contribute to: increased access of modern, affordable and reliable energy services; energy security; and the mitigation of negative effects (e.g. local pollution and GHG emissions). EACREEE plays a key role in promoting renewable energies and energy efficiency in the East African Community (EAC) region. Through its activities in the areas of policy, capacity development, knowledge management, and awareness raising, as well as business and investment promotion, EACREEE centre aims to create an enabling environment by mitigating existing barriers and in promoting a competitive sustainable energy market, as well as economies of scale in the EAC region. EACREEE will continue to execute regional projects programmes and activities in the above areas and in addition showing leadership in the coordination and harmonization of donor activities and acting as a regional hub for the SE4ALL initiative. Dynamic people who love and work towards making our environment a better place by embracing renewable energy solutions. Once a month we meet up over a drink and talk all things renewable energy. Follow us/DM us and be part of us! Alternative Energy Africa is the continent's first magazine dedicated to literally filling the energy information gap in Africa. Alternative Energy Africa provides its readers updates on private sector projects, government initiatives, business and investment news, and strategies for a thriving alternative/renewable energy market on the African continent, all of this in addition to global project news and groundbreaking technology coverage. And to complement the magazine, www.AE-Africa.com offers the latest updates between issues making the AEA online and print duo "the premiere source" of alternative and renewable energy news covering the African continent. SmartGridSpain is the Spanish technological magazine for smart networks. Technology and innovation are the main focus of SmartGridSpain's content, focusing on the following topics: Intelligent networks, Smart Grid Communications, Smart Metering, Smart Grid Analytics, Security, Interoperability, Power Storage, Renewable, Energy Efficiency, ICT and DATA, Mobility / electric vehicles. SmartGridSpain has a large, constantly-growing audience, including directors of large corporations in the energy sector and services, public agencies, executives, professionals, politicians and opinion leaders. SOLAR + POWER Management – Serving the global value chain of the PV industry. Governments around the world have reviewed their renewable energy policies and many are changing the level of support directed towards renewable energies. Companies know they need to continually reduce the overall process to ensure the next stage of industry growth, which will see full grid parity and solar move towards becoming a mainstream option for energy production. This next stage of market growth will test the patience of the entire value chain with tight margins and constant pressure to reduce costs. Solar + Power Management Magazine provides the knowledge from technology, industry, government across the entire photovoltaic value chain to enable companies to create competitive advantage. Distributed throughout Europe, USA, Asia and MENA region with over 42,000 copies both print and digital. Africa Global Funds is a monthly magazine for asset management professionals and institutional investors worldwide interested in the African continent. The magazine is supported by a dedicated website, providing convenient online access to the magazine content, up-to-the-minute news updates, data and events information. AGF was created as a relevant and engaging resource that can provide readers with an insight of what is going on in the African asset management and private equity space. Africa Business Insider is a new media created to keep you informed about the best business opportunities in Africa. The website www.africabusinessinsider.news provides information in English and French about registration dates and procedures to attend key business Forums dedicated to Africa on and off the continent. Sign-up for the newsletter to be updated weekly and get a chance to expand your business. Sun-Connect News was established in 2010 by Stiftung Solarenergie - Solar Energy Foundation. Sun-Connect News is the leading news platform for the decentralized solar energy industry in developing countries, providing news, articles, company and country information as well as background information for the off-grid industry worldwide. The publication's newsletter provides free informational service to more than 9,000 recipients. The target audience includes solar firms, micro-credit organizations, NGOs, and state facilities in developing and emerging nations. African Energy is a respected source of independent analysis on the continent’s energy industries, produced by Cross-border Information (CbI), a globally-recognised business intelligence company with a long-established research focus on the politics, energy and financial sector trends of Africa and the Middle East. African Energy’s work is based on the foundation of experienced staff analysts – African Energy has been produced by the same lead team since its launch in 1998 – and a network of correspondents and sources across more than 40 African countries. Africa Capital Digest is the leading source of original and curated digital content, comment and opinion for global private capital investors and their advisors who are sourcing, evaluating and executing private equity, infrastructure and venture capital transactions in Africa. Whether you are looking for ideas for new deals, leads for people or companies to be potential partners, expert market perspective from leading investors and market practitioners or just need to keep abreast of the most important private capital trends and developments on the continent, Africa Capital Digest provides you with the most focused, in-depth information to help you monitor and assess the private capital investment opportunities Africa offers. Attend our webcasts and events, listen to our podcast discussions with the continent’s leading investment professionals and read the weekly digest to keep up-to-date on the deal and fundraising activity on the continent. Renewables in Africa (RiA) is the expert blog about renewable energy in Africa. RiA's ambition is to raise the technical awareness about the various clean energy sources in the African continent and disseminate the information to the wider audience. As much as helping businesses primarily, it is also about getting civil society the understanding they need, what they buy and to some extent as well, how to better use this energy. RiA also provides advisory services in renewable energy and energy managements to its clients. Through RiA's collaboration with established project developers and its trusted local partners in West Africa, East Africa and Southern Africa, RiA provides green solutions to businesses struggling with power supply and distribution challenges.